No doubt you will be seeing all different shapes if you are shopping for bathroom or kitchen tile this year. While squares and rectangles will always be a classic shape; other geometric forms are dominating tile trends this year. Hexagon; Easily the leader this year for floor tile. 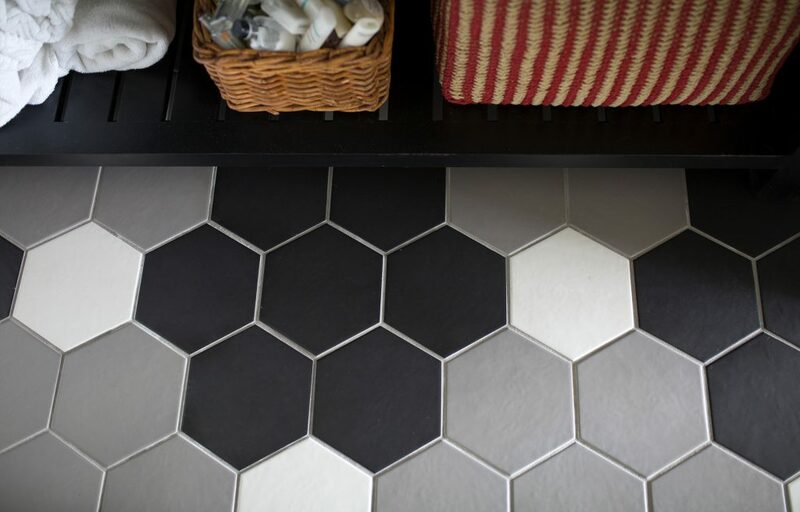 Find larger 8” Hexagon tiles for open floor areas; or 2” Hexagon mosaics for shower floors or to create a rug effect. 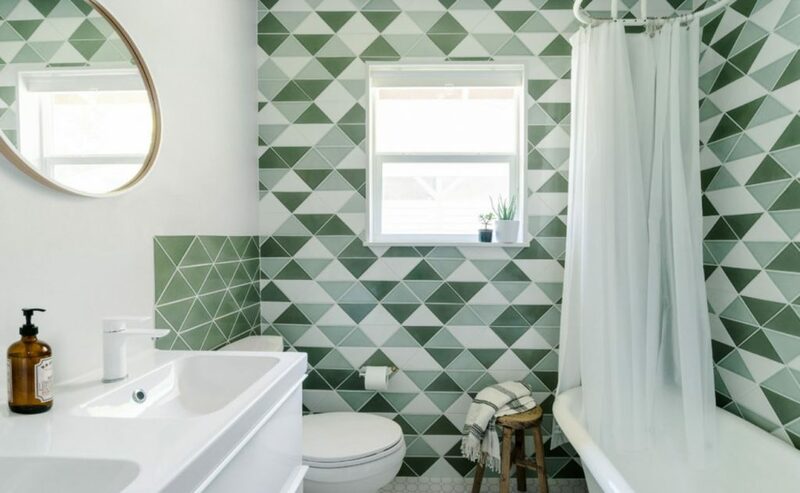 Triangle patterns give a sharper more pointed dramatic look to bathroom walls. Be careful not to overwhelm with too many other shapes in the same room. 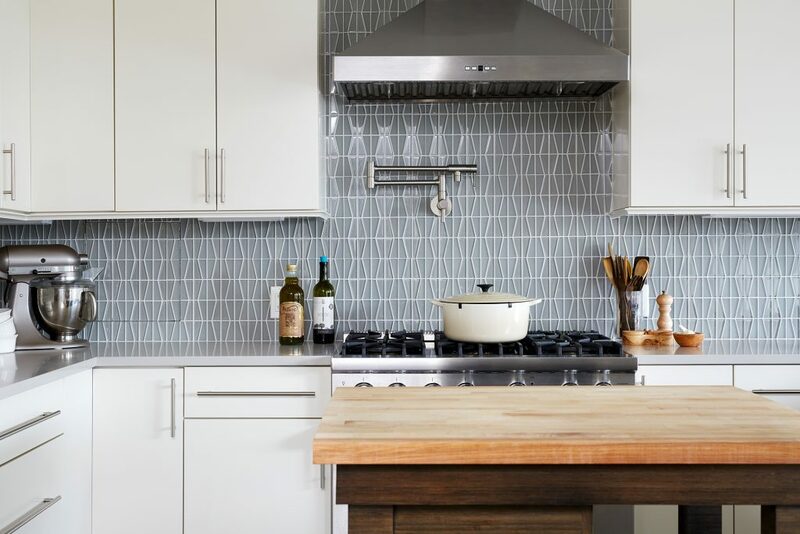 Trapezoid tile gives the more modern feel of a retro-modern design. Muted colors let the texture of the geometric pattern rule this effect.